Instead of teaching content-only in the classroom, Kate Roberts wants to focus on teaching skills as well. Roberts argues it is much more effective, for example, to explore what themes are, how to identify them, and how to analyze them across any text instead of studying specific themes found in any one novel. 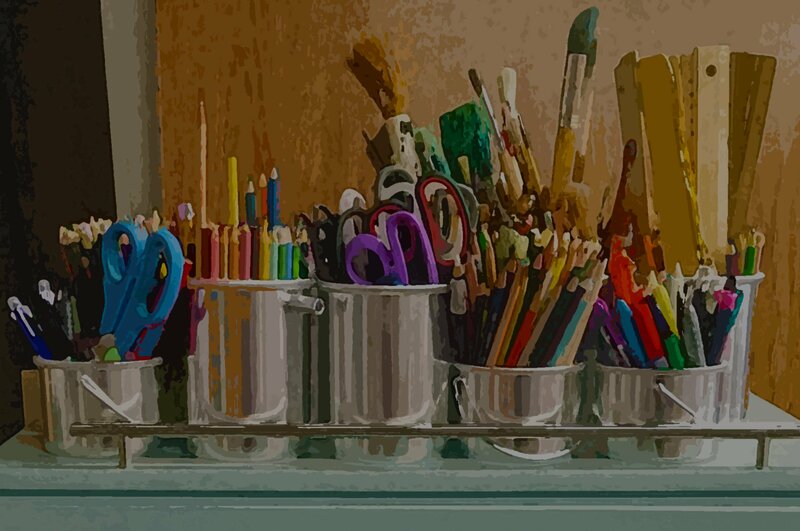 By adopting this approach, students are able to carry skills from one novel, idea, or topic to the next with less and less support from the teacher. Teaching content is important, but so are the skills required. We're not throwing away whole-class novels entirely, just adding a few more spices to the pot. 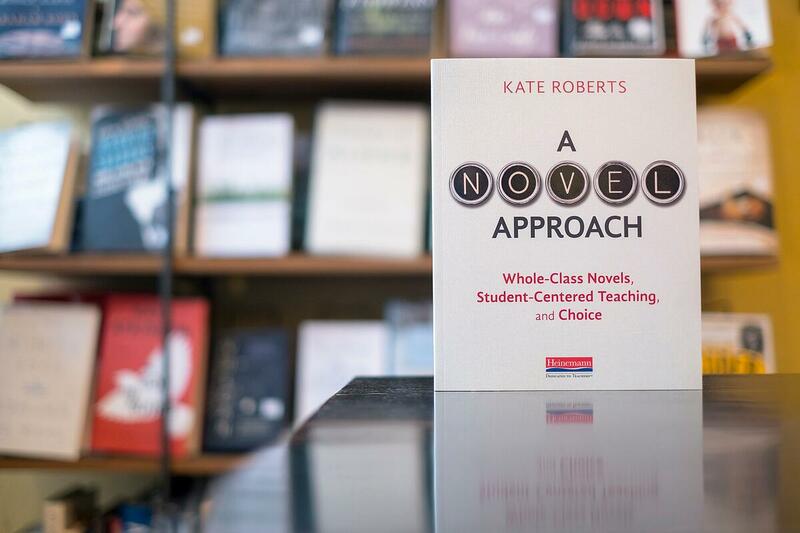 Here, Kate talks about how changing the way we teach whole-class novels allows students to become more independent in the classroom by shifting the focus from content to skills. What are my kids able to do independently after the unit is done? What skills can my students carry into the next topic without the supports I gave them the first time around? Kate best highlights this thought process in A Novel Approach when studying how a pizza is made, and perhaps more importantly, why. Below is an excerpt from Chapter 2, where Kate shows what changing the focus can look like in practice. Teaching a whole-class novel in hopes of engagement and independence feels a bit like conducting a cooking class. We are all going to make the same thing—pizza from scratch, for example. To teach the class I am going to break the work of pizza making down into steps and skills. I am going to go one step, or skill, at a time, demonstrating as I go and then asking the students to practice what I just demonstrated on their fledgling pizzas. Because there are many different skill levels in the class, I am going to move about the room, offering more demonstration (“Like this”) or hints or tricks to help (“Try this”), watching my students to see what they need. As we look at our pizzas, I am going to encourage my students to make another pizza very soon—to apply what they have learned—knowing that only through this application will the skills I have taught have any hope of sticking. In fact, if they do not practice pizza making on their own, they will just have made one pizza, soon digested and forgotten. Now consider how whole-class novels are often taught. Instead of demonstrating the skills of pizza making and giving students time to approximate those skills with some coaching, I tell students to cook a pizza at home and bring it in to class. Most of the students don’t bring one. Some bring a fantastic pie and others bring in a heap of uncooked dough. In response I show them my perfectly cooked pizza. I turn it around carefully, letting them smell the cheese, the spices, the sauce. I run class this way, asking questions about the recipes, the taste, the history of pizza. We do an activity where the students have to draw a picture of the pizza based on what they saw of mine, or where each kid has to represent a different ingredient of the pizza and give a short speech. Teaching the class this way gives more information about pizza. Many kids might be more interested in pizzas after this lesson. But they would not know better how to make one, eat one, or enjoy one themselves. What’s the difference between these two approaches? A focus on skills rather than a focus on content. Learning how to cook a pizza is different than being asked questions about pizzas. The content of pizza making—the list of ingredients, the measurements— is certainly important. Knowing what a perfect pizza looks like and tastes like is also important. But without approximating (with coaching) the skills to mix the ingredients, roll the dough, flip the pie, and so on, few students could hope to become independent at cooking pizza pies. Skills are what make a reader, just as skills are what make a cook. Trying out those skills on a rich, profound example of literature can be a transformative experience for kids, especially when they are able to practice reading such a text deeply and independently with explicit instruction around how to do it better. To become better at something, you need to do it yourself. A lot. Over and over. Badly at first, perhaps, then with subtle improvements over time. When reading a whole-class novel, it is difficult to separate content from skills and to choose to focus largely on the latter. After all, the book is begging you to stop and ask kids to notice this line, this phrase, this idea. The first page in John Steinbeck’s Of Mice and Men is so beautiful, so descriptive that you could spend a whole class period just on the first paragraph, making sure that your class understood how the imagery evokes the peace and quiet of a verdant natural landscape and highlighting the contrast between the mood of the initial images and the vibe when the two main characters enter the scene. And much of this work is important and good for kids to see. There is worth in giving kids an experience of witnessing the depth a reader can go to in a text and the riches that await when they do. But if that is all we focus on as teachers—if we can see only this one description of the blade of grass and its particular metaphor for redemption—we run the risk of losing sight of the readers in front of us, the kids in our care who need our guidance to show them how and why to notice things like the blade of grass when they are reading for themselves. When we lessen the focus on the content of the novels we teach, we can focus more on the skills we want readers to get better at any time they read.